If there's one thing that Southerners know, it’s their cooking. Don't even think of breathing the word 'calories' when you're talking to someone from the South about their eating habits. In the South, good food is good food. And, that's the end of it! If you were raised in a Southern family, you likely remember all of those amazing, rich, and sometimes fattening foods that you grew up on. This is the land where Grandma kept used bacon grease in an old coffee can on the stove for seasoning almost anything. And, it was always amazing! One claim-to-fame for many Southerners is great barbecue. And, they're right! They have mastered the mouthwatering art of slow-roasting nearly any perfectly seasoned piece of meat until it literally falls apart. 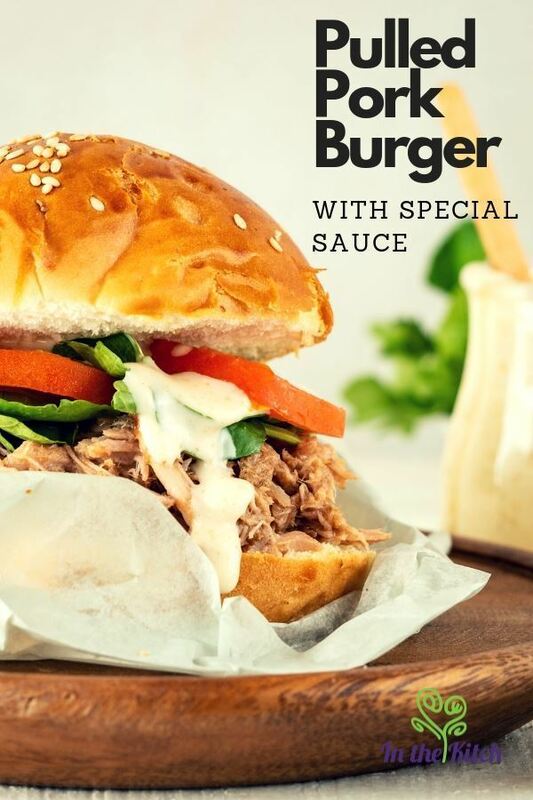 Here's an amazing recipe for pulled pork with a special sauce that packs a little kick creating a unique, Southern BBQ burger. Heat a deep pot at high temperature. Add the canola oil and the pork, and sear the sides until you get a nice brown/golden color . Once it’s golden, place the pork in a slow cooker with all of the other ingredients. Cook at high temperature in the slow cooker for approximately 4 hours, always covered. For the special sauce, mix the mayonnaise with the apple cider vinegar, cumin powder, sugar, salt and pepper. Mix well and refrigerate until ready to use. Remove the pork from the slow cooker. Shred the pork with two forks. Place all the cooking liquid and the vegetables in a blender and pulse until you get a soft mix. Pour mix over the shredded pork and combine well. Adjust salt and pepper as needed. 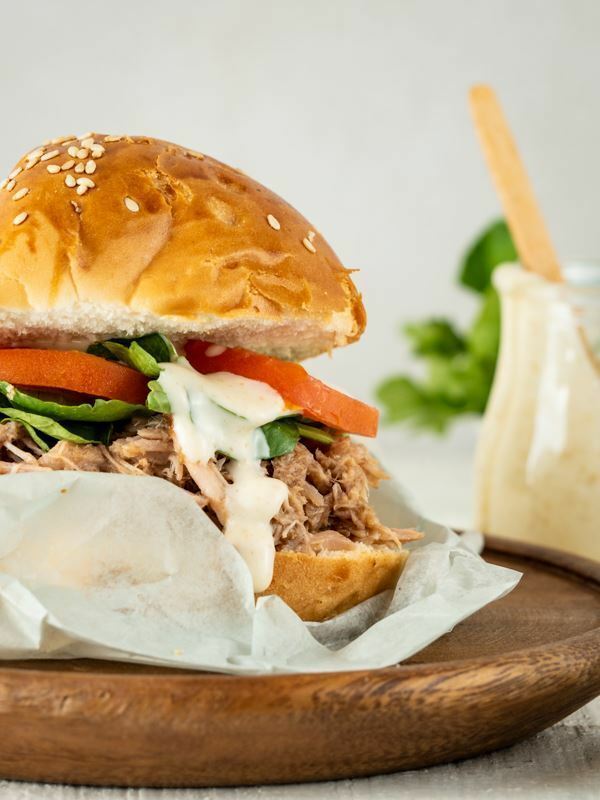 Assemble the burgers with the watercress, tomato slices, pulled pork and special mayo. 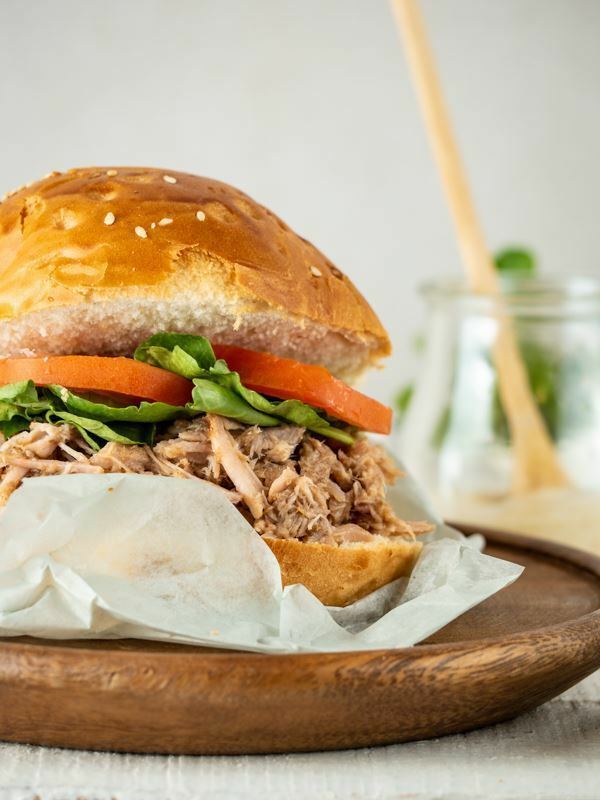 The dark beer and hickory in the pork really compliment the sweetness of the honey, bringing a perfect balance to this traditional sandwich. Throw in a bit of watercress for originality and top it with a little bit of 'tang' and you've got yourself a true masterpiece of a sandwich. 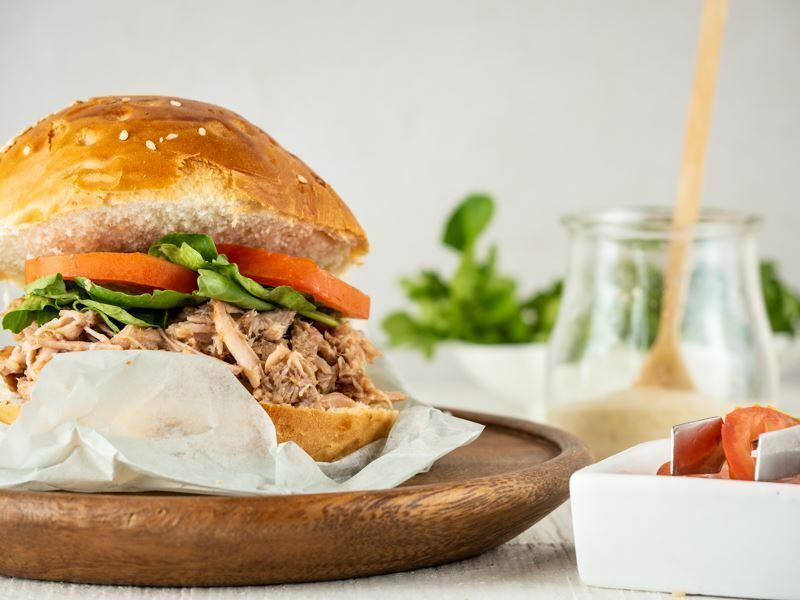 You could even use this recipe for the pork on any boneless piece of meat and create your own original BBQ sensation. 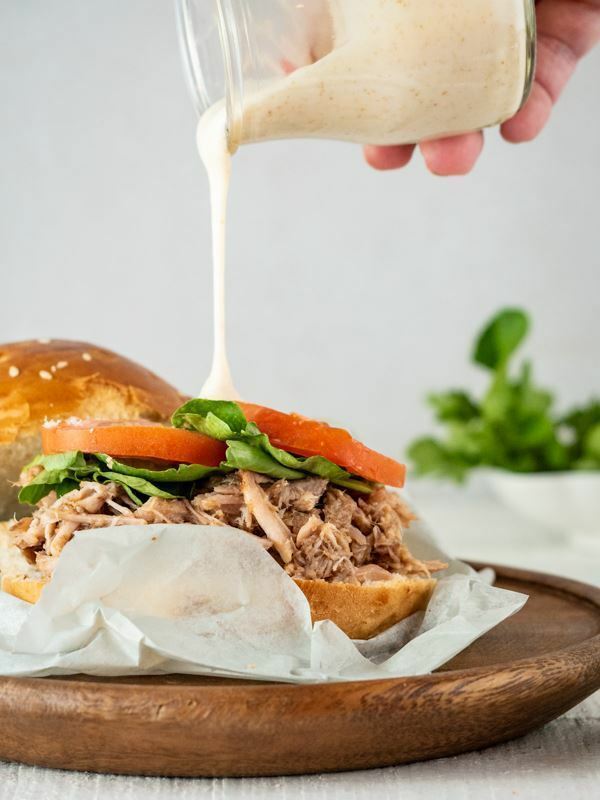 Better yet, offer this sandwich in a buffet style setting served with a variety of traditional BBQ sauces, spicy and mild, for your guests to choose from. And, don't forget the bread! Any bread, really! Pick your favorite or pick a few. Mix it up and have some fun. 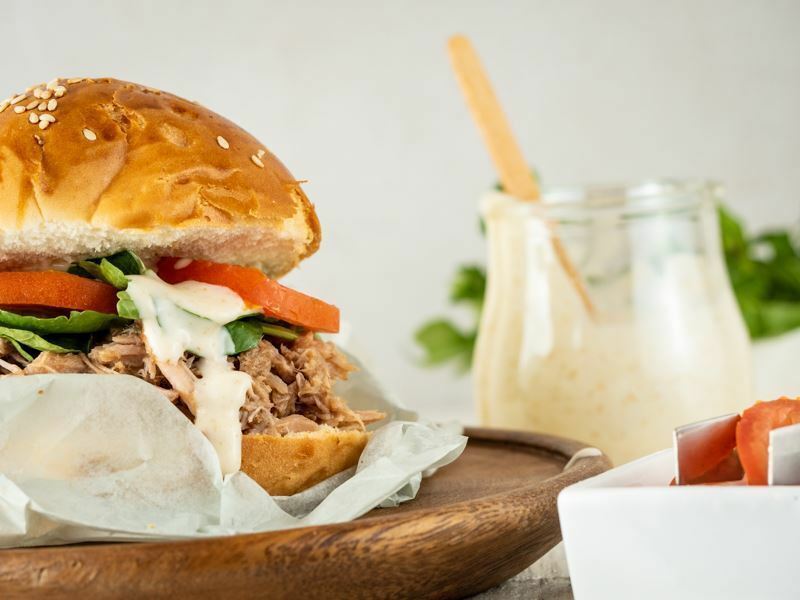 This Pulled Pork Burger could just be the start of one of many future inspirations.